That was the message from Glen Gulutzan after Saturday night's 5-2 victory over the Vancouver Canucks. 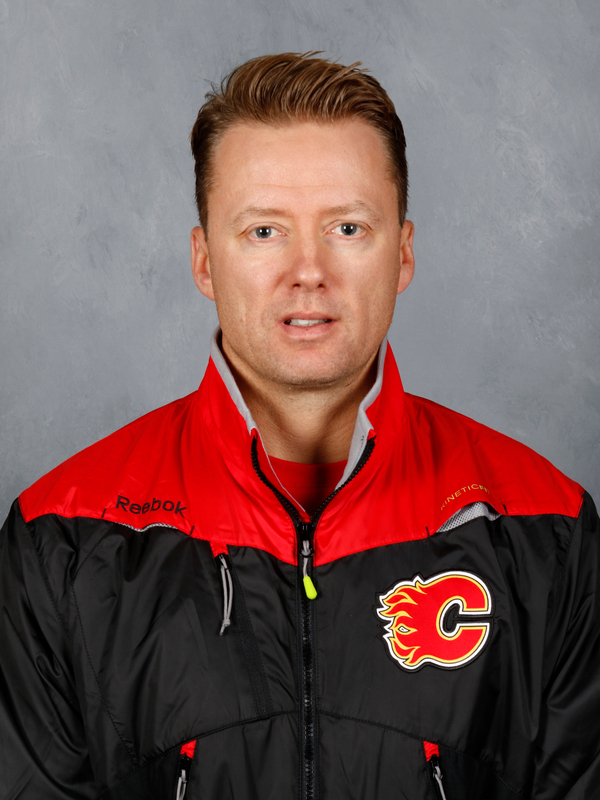 "We're a little out of sync right now in a lot of areas," said the Flames coach in his post-game media scrum. "Just our lines, who is playing with who, our bench, power play -- who is on the power play, who is not on the power play. "We have to sit back here in the next few days and get a little bit of stability. I really like stability and right now, even for myself on the bench, we're a little chaotic." There's putting your lines in the blender, which all coaches will do, then there's what happened throughout the game last night where Gulutzan tossed his 12 forwards into the container, put on the lid, and hit puree. "We've got guys coming in and out of the line-up and we've got different guys playing on the power play at different times. Taking some penalties too, trying to get guys back on the ice and shuffling. It's just not a rhythm feel that we have right now. I think we'll be OK once we get that rhythm but we have to find it." As Gulutzan alluded to, part of the issue is this team's propensity right now to continually take minor penalties, especially early in a game. Calgary was shorthanded five times in the first period alone on Saturday. When the Flames are killing penalties, six important players aren't touching the ice: Sean Monahan, Johnny Gaudreau, Matthew Tkachuk, Dougie Hamilton, Jaromir Jagr, Kris Versteeg. For one, that's far too much talent to be stapled to the pine. So Calgary needs to be far more disciplined. But beyond that, when they do get back to five-on-five, the lines themselves seem a bit discombobulated lately. Jagr is moving around. Lazar is moving around. Bennett is moving around. Improve the Roster - There's one particular transaction I would do that would improve the 23-man roster. Tweak the Lines - Jagr is here now. His conditioning is coming. There are three practices before the next game. Time to settle on some line combinations. Align the PP/PK Units - By this, I'd try to lessen the impact of extended special teams time on the 5-on-5 flow by having the PP combos and PK pairings better align with the regular lines. So with that groundwork laid, let's get after it. Here are the seven steps I'd take. Before putting on my coaching hat, I'm going to be the GM for a day. Shove over, Brad Treliving, I've got some paperwork to file. The first thing I'm doing is putting Freddie Hamilton on waivers. 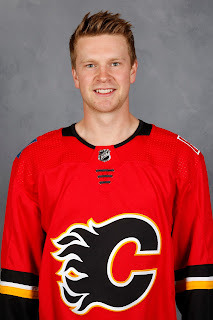 I realize he's a big part of Dougie Hamilton's life and it seems like a bit of a package deal but sorry, improving the team trumps my sentimentality for their family bond. This is the move I need make to open up a roster spot for a recall from Stockton. In his last pre-season appearance, Hamilton took a dumb penalty. In his first shift last night, he took a dumb penalty. Discipline is already a problem with this team, I need my fourth line players to be part of the solution, not part of the problem. Hamilton isn't hurting the team as a 14th forward. He's a serviceable enough player capable of playing multiple positions who can be inserted in a pinch, but the team has a better option in the AHL and the time has come to make this move. Mark Jankowski is ready. We saw that in the preseason, we've seen that so far in the AHL regular season where he scored again last night giving him five points (4 goals, 1 assist) in Stockton's first three games. When he was sent down, Treliving vowed that he would be back before too long. It's been two weeks, time to get this guy back to Calgary and for good. Plus, I have top-nine plans for Jankowski so the sooner he gets here and he gets integrated into practice, the better. Here is how I'd set up my lines this week when the Flames return to practice:. While Jaromir Jagr takes a while to get to where he's going at age 45, Sean Monahan is no speed demon either. Jagr's ability to hold onto the puck and make plays, Monahan's ability to find the quiet ice and bury chances from the slot and then add in the raw skill of Johnny Gaudreau, let's put them together, keep them together for an extended period and see what they can do. If that's too much ice time for the old man at times, a simple mid-game adjustment you could make as needed is flip-flop Jagr and Versteeg for a while. If it ain't broke, I ain't fixing it. Matthew Tkachuk has come back this season bigger and stronger and he looks great, while Mikael Backlund and Michael Frolik continue to form a reliable two-way duo. As a line, the advanced stats for all three are tremendous once again this year. There are sufficient changes one can make up front without needing to mess at all with the 3M line. 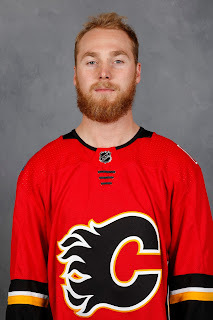 It feels to me like Sam Bennett is trying too hard -- his non-stop parade to the penalty box lately is perhaps an indication of that. It's as if he's frustrated and trying to make an impact in other ways since the offence isn't coming. Bennett has been better this year, but he's still a guy that looks a bit lost and without a single point to show for his first six games, you wonder where that ever-elusive confidence is these days. He still can be a centre down the road for this team and perhaps for a long time, but right here, right now, it feels like its time to move Bennett back to left wing and let him relax. Lessen his responsibilities, just let him zip up and down the wing and see if the offence comes back around again. This is also where Jankowski slots in. Let's be clear, I don't call up the 23-year-old to play him on the fourth line or make him a scratch. He's here to play significant minutes and that comes as the centre on the third line. 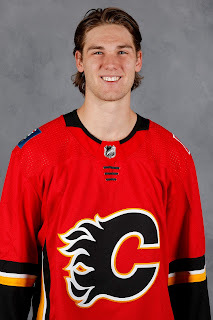 Jankowski was good in the preseason, he was a good soldier by going down to the minors and not moping but instead showing that the team made the wrong decision. Time to bring him back. This is where opportunity lies. Micheal Ferland and Troy Brouwer on the wings, playing a simple bang-and-crash north-south game will give you energy and hopefully a little bit of offence now and then. At centre, I've got a rotation. I'd start with Curtis Lazar there, but I'm very comfortable with Matt Stajan there and depending on the opponent, I'd even use Tanner Glass at centre (he could split draws with Brouwer, who also dabbles at the dot). The key for me is stabilizing the top-nine and limiting the night-to-night line-up changes to interchangeable parts that come and go only on the fourth line. Yes, Brouwer makes a lot of money to play down in the line-up like that, but to get your best bang for your investment in him at this point in time, you must find a way to maximize his contribution. Unfortunately, he hasn't worked out in the top-nine so abandon that and right now, I'd keep him on the fourth line where he has been effective in recent games. Lately, I've seen him more invested emotionally and playing more physical. That's a start to his reclamation and now is not the time to change anything. I've liked Lazar in spurts in the top nine but I'd rather go with Jankowski there and then you run out of spots for Lazar. 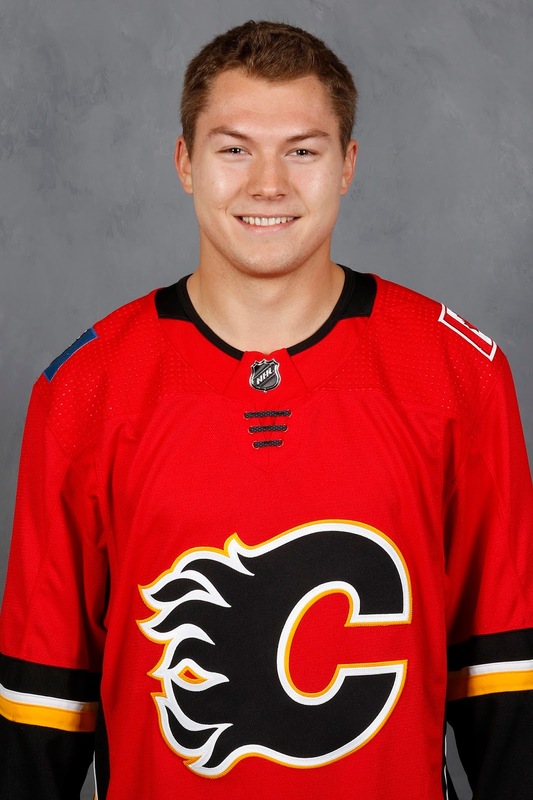 But Lazar with Ferland and Brouwer gives him a chance to make an impact with his speed and forecheck so that looks like the best spot for Lazar for now. Meanwhile, if Bennett can't figure out the NHL's application of the rule book, he might even have to take a seat, in which case I'd elevate Lazar. Lazar remains my No. 10 when it comes to the top-nine. He's the guy I plug in wherever the hole is if there's a minor injury, etc. That said, Ferland is a promotion candidate also. It's time to see Brett Kulak. Matt Bartkowski has been OK but we know what the 29-year-old can do, let's see what the 23-year-old can do. Given the limited role for that No. 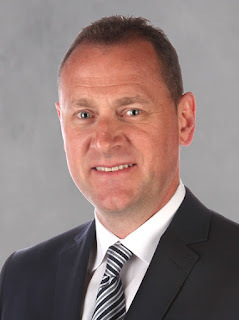 6 D, this shouldn't be a line-up change that will cost you while at the same time, it could help you as you're bringing in a guy with some upside and who is hungry to show the calibre of player he can be with his skating and ability to make a good first pass. There was an extended period last season where Kulak looked solid to the point where I wondered if he would ever come out of the line-up. Time to commit to getting his game back to that same point. As for the top four, I don't change a thing. There are four usual suspect here so we're not talking about massive changes, but we've seen Brouwer, Ferland and Jagr rotate through that RW forward spot. For me, it has to be Jagr. Stop the rotation. For one, it keeps that line intact for more stability overall. Secondly, this is where he should be able to thrive. Give him some space on the power play to show off that hall-of-fame vision, hands and shot. It wouldn't be in that same net-front role that the other two filled and it may require a tweak to the PP set-up but Dave Cameron, you're stuck with Jagr, find a way to make it work. There could be worse problems. The team needs to get Bennett going and he's got the skill to be a fixture on the power play and should be. So it's the 3M line, less Frolik, insert Bennett. Tkachuk is a no-brainer for me. He's a talented kid and has the ability to create chaos in front. Plus, he's an elite passer. I keep the D pairing of Mark Giordano and Hamilton the same. Here is how I'd deploy my PK combos. Again, what I'm going for here is keeping guys together that play together at even-strength. This limits the amount of shuffling the coach needs to do afterwards and should provide more of that rhythm Gulutzan is seeking. While I labelled them PK1, PK2 and PK3, they need not roll out in this order. I feel this is where Brouwer picks up some ice time. I've liked his work on the PK so far. Last night on the 5-on-3, he and Backlund did a stellar job in sharing the high forward spot. On the blueline, I'd go Giordano-Stone and Brodie-Hamonic as my two LR pairings. Michael Stone's biggest impact has come on the PK. Is 2nd on team in SH ice time (25:29) and has yet to be on the ice for a PP goal against. I continue to roll with Mike Smith. I like what I've seen from him so far and if I were the coach, he's my workhorse. I get Eddie Lack into the second-half of the Oct. 24 and 25 back-to-backs on the road in Nashville and St. Louis but I see no need to use him before then. As the season wears on, Lack will play more, but right now while it's early and Smith is fresh, locked in and on a roll, you ride that horse. The Flames woke up Sunday morning in first place in the Pacific Division. They're three points up on Anaheim and six clear of the Oilers. So to be clear, this isn't exactly a crisis situation. But if you've been watching closely, there is lots of room for improvement. What I'm proposing would not be drastic changes while at the same time would give the team the type of stability moving forward that Gulutzan is seeking. Plus, it makes Calgary a better team instantly. But in a disclaimer that should have been at the top, not here at the bottom, remember that I'm not the GM, nor am I the coach. This is just one man's opinion. Now we sit back and see over the next few days what Gulutzan and Treliving have in mind. They're the guys whose opinions actually matter. But with Sunday a day off for the team and then three days of practices coming up starting on Monday morning before Calgary is back in action Thursday night when the Carolina Hurricanes visit the Saddledome, the time is definitely right to make some tweaks. Not sure it will be followed considering they would have had to waive Hamilton Sunday to bring up Jankowski on Monday. But we'll see what happens, maybe we something like this eventually. Might be a little early yet. Teams are always more patient than anyone else. Almost to a fault. cheers and thanks for the note. Agreed, maybe Janko instead of Backs on 2nd pp, but agreed! That's a potential progression after Jankowski gets comfortable and earns those PP minutes. OMG pure gold! Haynesy that is some fine work. I couldn’t agree more with everything you have said. Janko needs to be in the show right now and Freddie is not making a strong case for himself. The only change I would make is giving Bennett some time on the first pp to see if he could rekindle some of the pre-season magic with Johnny and get Sammy feeling good about himself again. I hope the Flames mgmt. is reading this as so much of it makes sense. Wreaks a little more havoc with the proposed even-strength line combos but it's manageable, so Bennett on PP1 is certainly an additional thought. You could do that too and move Versteeg to LW on line 3 and add in Jagr. Jankowski and Jagr together. Those would be two big bodies. The only significant thing I would change is possibly Ferland and Versteeg. So far this year I have seen no chemistry between Versteeg and Bennett. Ferland can skate with Bennett and Janko and I think that would help. Janko has been very successful playing with Mangiapane on the left side and Bennett is very much the same the same kind of player only better, Janko RW has been Hathaway and again Ferland is the same type of player only better. That could work too. Ferland is the guy that gets the short stick with this as he was on the No. 1 line not long ago, but such a demotion always loomed once the Jagr talk started to swirl and given what the ripple effect would be. But he's still got lots of tools in the toolbox so I can see Ferland earning his way onto the third line, potentially in place of Versteeg if his play slips. Calgary has a lot of versatile players who can play multiple positions and up or down the line-up. No to Bennett at wing. It's too soon. Once he begins producing at center or wing, that's when you can decide what position you need him to play. Pulling the plug on this experiment to early might seem sensible but that's not how it works in the NHL. Once you've been labelled a winger you can almost never go back to center. I am one of Mark Jankowski's biggest advocates, but I'd rather just be patient - it's only been six games. It depends on how Bennett is dealing mentally with his slow start. If it's eating him up, this is positioned as a favour to Bennett, not a punishment. Some guys are driven to be centres, I'm not sure that's his philosophy. He's always talked about how he is fine playing wing also. Anyway, you're right in that team management and coaches are always more patient than anyone else and naturally so concerning how invested they are. They've got skin in the game. They will not make the same type of flippant decisions fans will. That said, is this flippant? Six games sounds flippant, I suppose, but GM hinted at Jankowski not being down for very long so what's the move then become if not Bennett to wing? To answer my own question, 4th line C becomes viable and I still don't think that's a bad fit for Jankowski, will also get ice time bumps from the PK, etc. Another great read! Really liked your thoughts... only potential change is Bennett with Versteeg on the PK... Versteeg played a lot on the PK in his earlier NHL years and put up some really impressive numbers - lots of short handed points! Having 2 pairs that can complement our d on scoring short handed could really put the opposition on their heels during their pps. PS love Versteeg on the RW, I feel he is much more effective when played on the right side. I feel like Versteeg is capable on the PK also, but Calgary doesn't use him very much, if at all. Not sure why. Great read, thanks for sharing your thoughts. I always respect your insightful, well-considered comments. I appreciate the note. Thank you. Great read, I couldn't agree more, make one wonder why the team doesn't see it this way, they are the pros what are we missing? There is always more to the story, which we don't have insight on. That part I can tell you. So a lot of this is "easy for me to say" type of stuff. I don't have the accountability that they have. On the first power play, don't you think you need a shooter on one of the flanks. (i.e. : stamkos, ovechkin, etc). I feel Gio should be on his weak side for one-timers. (See Dec. 23, 2013 goal vs. St. Louis) Johnny and Brodie are great distributors of the puck, thus they can either pass to Gio for the one-timer or to Mony in the slot or down low to Jags who touches back out to Mony in the slot. Versteeg is creative, but without some firepower from the outside, the other team's pk's job is easier. Thoughts? My general response is the power play was one of the best in the league for the final 60 games last season so who I am to say they don't know what they're doing! Your suggestions make sense but maybe it's simple as play a power play style that aligns with your type of player. If you don't have a 'shooter' and they don't grow on trees, then you take a different approach that caters to your personnel. Freddie Hamilton is an easy waiver choice, I agree. He's not an upgrade on any of the other 4th liner options, aside from maybe Tanner Glass, and if so, it's barely an upgrade (and Glass brings other things to the table when games might require a tough guy). I'd still like to see Bennett get a little more time with Jagr, but either way, that's a first line with two slower players or potentially a third line with two slower players, so, sure, bring up Jankowski and see how they could work (with Bennett and Versteeg as you mentioned). I'd really like to see Brett Kulak given a shot, also. Bartkowski hasn't been terrible but he's also not been good, and taking into account he's playing sheltered minutes on the 3rd pairing, it shouldn't be that difficult to slip Kulak in for a game or two and see what he's got. The team has been a little frustrating to watch, because they've taken so many penalties and I liked your solutions to the PK (and power play). Last season, the Flames were 8th overall in shots allowed and presently they are 2nd last giving up 218 shots in their six games. That's 36 shots against per game, and a lot of that is their lack of discipline and then playing with scrambled, mixed-up lines. The Hurricanes are coming on Thursday and they play a similar, disciplined game like the Senators. The Flames need continuity, not the constant line juggling that really doesn't seem to solve anything. Your solutions are bang-on, and I hope someone has pointed out your article to the people making the decisions on the Flames. 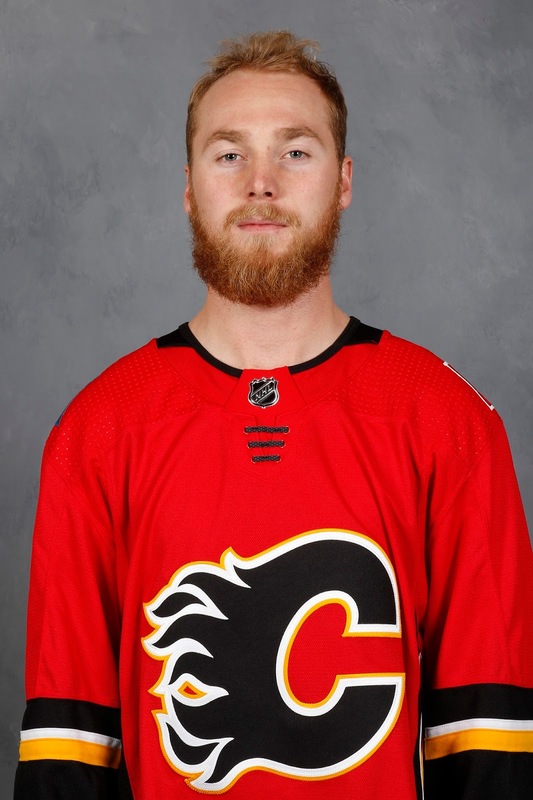 Little late on this but on the topic of Kulak, he finally got in and for his first game in nearly four weeks, I thought he was fine and Gulutzan said he liked his game. I'd like to see him get several in a row so he can settle in. Interesting line combinations. GG might get there eventually but I think Mark would still begin at 4C with two of Ferland Brouwer Stajan and Lazar. I like a line of Sam/Mark/Kris but I don't think GG will try that out of the gate. You're right though; when/if he does move up putting Sam on his wing makes sense and gives the team a better top-nine and solid energy line. As for who to waive, I doubt anybody would claim Tanner and that would leave two bangers available for call-up and Freddie and Matt for popcorn duty. In any case Freddie is a better hockey player than Tanner, who would be lucky to make the third line in Stockton. Hamilton is more skilled than Glass, but they are completely different people, players and with different purposes. I think the reason this article was written is the frustration fans (and players) are having with this coach's usage of this very skilled team. One thing I've learned is talk about line combinations and people will read it. There seems to be a fascination with that topic. With Valimaki pushing to break into the team next year, it's imperative the Flames see what they have in Kulak this year. Goes beyond Valimaki, who may need more time than just one year in junior. You also just want to know if Kulak is someone to bring back next year. He's only on a one-year deal. He got in finally on Saturday, now let's see if they let him run with it a bit as one game and out would be pretty hard on him. 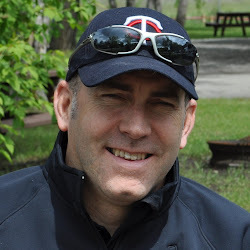 He needs some reps.
@Darren: Any chance you could add links in this blog to your articles being published elsewhere across Canada? Not sure where those would go, but I'll ponder.